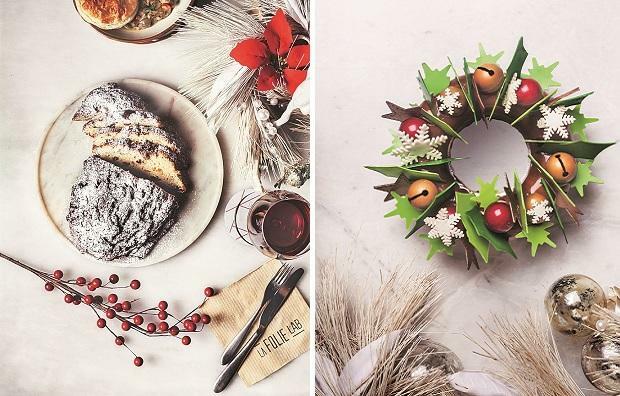 How to prepare a Christmas meal that would be light on your heart? Tis' the season, of spending time with family and friends while indulging in feast and festivities. Christmas dinner is a celebrated tradition which not only satisfies the palate but also satiates the soul. But festive indulgence should not have harmful effects on your health. Festive meals tend to be rich in fats, sugar and carbohydrates. The sluggishness one feels after indulging in Christmas feast is due to consumption of foods that have a high glycemic index. Such foods quickly increase blood sugar, which can induce an insulin rush and make you feel sleepy. In most people, such an insulin spike would lead to a food coma, in people who are diabetic, serious health complications can occur. 1. Use MUFA rich oils: It is better to avoid fried food as much as possible, but when required use MUFA rich oils to fry or sauté the food. MUFA, or Monounsaturated fatty acids, are more heart friendly. MUFA rich oils such as peanut oil, mustard oil, canola oil, among others, help in controlling high blood pressure which is a risk factor for many heart diseases. They have also proven to be helpful in preventing oxidation of bad cholesterol 'LDL', reducing arterial inflammation. 2. Add greens to your meal: The best way to avoid over-consumption of fatty foods is to balance your meal out with green vegetables. These can be in the form of sautéed vegetables or eating variety of salads. Since vegetables are rich in fibre, they can induce satiety which will help you feel 'full' and thus avoid over-eating. Incorporating nuts such as cashews, almonds and walnuts in your daily diet also provides you with healthy fats and good nutrition. 3. Eat small portions: Another way to limit your food intake is to reduce the proportion of your meal. The dining table is always groaning under the weight of scrumptious Christmas treats which are hard to resist. In this scenario, instead of abstaining from indulging in the delectable foods, choose to eat everything but in smaller proportions. This way you can indulge without over-eating. 4. Reduce salt and sugar intake: Be vigilant in limiting the amount of salt and sugar intake during Christmas. Reducing the amount of salt in your diet helps to decrease blood pressure which reduces the risk of cardiovascular diseases. Similarly, have control over how much sugar you are consuming to avoid a 'sugar rush'. Increased consumption of sugar is also associated with increased risk of heart disease. Use jaggery or molasses instead of refined sugar. 5. Eat 'good' meat: Meat is rich in proteins. But red meats such as beef, pork and lamb have more saturated fats as compared to chicken and fish. These saturated fats can increase the risk of heart disease and in people who already have a heart condition consumption of red meats can worsen the problem. On the other hand, fish is rich in Omega-3 fatty acids, which helps to reduce the risk of heart failure.